The above info came from Des, and was edited by yours truly (contact me). The image came from Amazon.com. Genetic manipulation has become the future of Earth. It's a world where you are judged buy the color of your genes. The ratio of males to females is 1:9, in hopes of keeping the male attitude in order. It is now 250 years since humanity started experimenting with genetic manipulation. For five years now, a mysterious ring has located itself above the Earth. The military has formed a special mission, the S-Mission, to attack and detroy the rings. But with the destruction of the first ring, many more appear. This story follows Mika Seido, a girl who's gene color is the lowest. 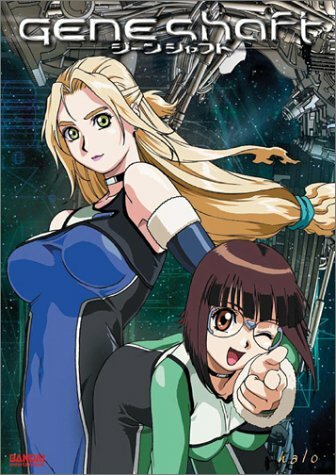 This series has many ups and downs, as Mika tries to put asides her felling for Hiroto Amagiwa, trying to control her temper around Mir, and piloting the new assault weapon the shaft. The above description came from Des, and was edited by yours truly (contact me).